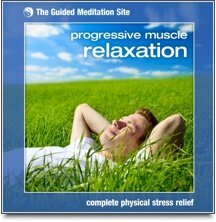 This progressive muscle relaxation script is now available to download as a high quality audio production. You can experience this wonderful relaxation with a backdrop of soothing meditation music. Please click on the image to the right for more information and to hear a preview. 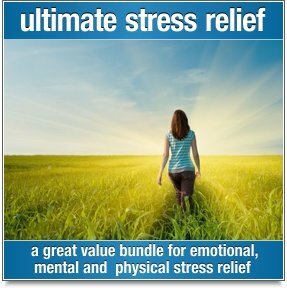 This progressive muscle relaxation script will help you to deeply relax your physical body from head to toe. It is a complete script that takes a little over 20 minutes to read aloud. For more free scripts, or to contribute a script of your own, please follow this link to free relaxation scripts. 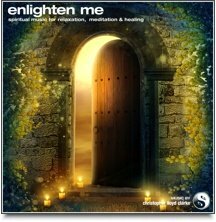 You can also find some excellent Guided Meditation Scripts here. Find yourself a quiet place to relax. Turn off your phone and dim the lights. This is your time...a time for complete and utter relaxation. For this relaxation, you can either sit or lie down. Just make sure that you are warm enough, and that you are comfortable. Let your hands rest loosely in your lap, or by your side. Now close your eyes. Now take a long slow deep breath in through your nose, all the way down into your stomach. Hold the breath for just a moment, and then exhale through your mouth. Allow your breath to carry away all stress and tension as the air floods out of your lungs. Take another slow breath in through your nose. Fill your lungs completely. Hold it for a moment...and release the breath through your mouth. Empty your lungs completely with your out-breath. Take a third deep breath in. Hold it for a moment, and then let it go. Feel that your body has already undergone a change. The tension in your body has begun to loosen and subside. During this relaxation I will ask you to tense various muscles throughout your body. Please do this without straining. You do not need to exert yourself, just contract each muscle firmly but gently as you breathe in. If you feel uncomfortable at any time, you can simply relax and breathe normally. Bring your awareness to your feet and toes. Breathe in deeply through your nose, and as you do, gradually curl your toes down and tense the muscles in the soles of your feet. Hold your breath for just a few seconds and then release the muscles in your feet as you breathe out. Feel the tension in your feet wash away as you exhale. Notice how different your feet feel when tensed and when they are relaxed. Take another deep breath in again, tense the muscles in the soles of your feet and hold this position for a few seconds. Now release. Feel yourself relaxing more and more deeply with each breath. Your whole body is becoming heavier, softer and more relaxed as each moment passes. Now bring your awareness to your lower legs...to your calf muscles. As you draw in a nice deep breath, point your toes up towards your knees and tighten these muscles. Hold for just a moment, and then let those muscles go limp as you exhale. Once again, draw in a deep breath...and tighten your calf muscles. Hold for a few seconds, and then let it all go. Feel your muscles relax, and feel the tension washing away with your out-breath. In a moment you will tense the muscles in the front of your thighs. If you are lying down, you can do this by trying to straighten your legs. You’ll feel the muscles pulling your kneecap upwards. If you are seated, you can tense these muscles by pushing your heels down onto the floor. Take a deep breath in, and tense the muscles in your thighs. Hold for just a moment, and then release everything. As you do this, the blood flow to your muscles increases, and you may notice a warm tingling sensation. Enjoy this feeling of soothing relaxation in your thighs. Again, breathe in deeply and tighten your thigh muscles. Hold for a moment. Now release. Focus on letting your muscles go limp and loose. Draw in a nice deep breath and gradually tighten the muscles in your buttocks. Hold this contraction for a few seconds, and then release your breath. Feel the tension leaving your muscles. Feel them relaxing completely. Once more, breathe in deeply and tighten the muscles in your buttocks. Hold for a moment. Now release them. You are becoming more and more deeply relaxed. Take another breath, and this time, gradually tighten all the muscles in your legs, from your feet to your buttocks. Do this in whatever way feels natural and comfortable to you. Hold it...and now release all these large strong muscles. Enjoy the sensation of release as you become even more deeply relaxed. Now bring your awareness to your stomach. Draw in a nice deep breath and then tighten these muscles. Imagine you are trying to touch your belly button to your spine. Now release your breath and let your muscles relax. Notice the sensation of relief that comes from letting go. Once again, draw in a deep breath and then tighten your stomach muscles. Hold for a few seconds... and then let them relax as you exhale and release all tension. Bring your awareness to the muscles in your back. As you slowly breathe in, arch your back slightly and tighten these muscles....Now release your breath and let your muscles relax. Again, draw in a deep breath and then tighten your back muscles. Hold for a few seconds...and then let them relax and release. Now give your attention to your shoulder muscles and the muscles in your neck. As you slowly draw in a nice deep breath, pull your shoulders up towards your ears and squeeze these muscles firmly. Now breathe out completely, and allow your contracted muscles to go loose and limp. Again, pull your shoulders up towards your ears and squeeze these muscles firmly. 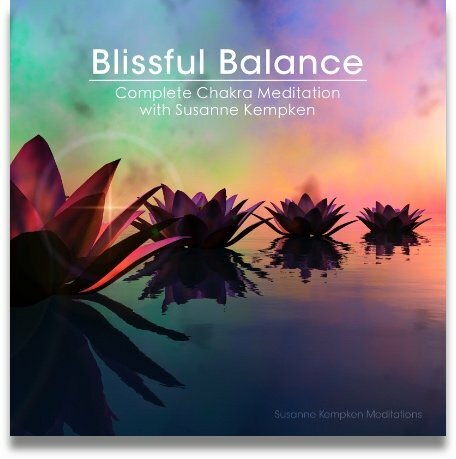 Now feel the tension subside as you relax and breathe out. Feel the heaviness in your body now. Enjoy the feeling. Feel yourself becoming heavier and heavier. Feel yourself becoming more and more deeply relaxed. You are calm, secure, at peace. Now it’s time to let go of all the tension in your arms and hands. Let’s start with your upper arms. As you breathe in, raise your wrists towards your shoulders and tighten the muscles in your upper arms. Hold that breath and that contraction for just a moment...and then gently lower your arms and breathe all the way out. You may feel a warm, burning sensation in your muscles when you tighten them. Feel how relaxing it is to release that tightness and to breathe away all tension. As you curl your upper arms again, tighten the muscles as you breathe in. Breathe in deeply. Now relax your arms and breathe out. Now bring your awareness to your forearms. As you breathe in, curl your hands inwards as though you are trying to touch the inside of your elbows with your fingertips. Now feel the tension subside as you relax and breathe out. Again, take a deep breath in, and tighten the muscles in your forearms. Hold it for a moment, and then release them. Feel the tension washing away. Now, take another breath in and tightly clench your fists. When you have finished breathing in, hold for just a few seconds, and then release. Notice any feelings of buzzing or throbbing. Your hands are becoming very soft and relaxed. Take another deep breath in and clench your fists again. Hold for just a few seconds, and then release. Let your fingers go limp. Your arms and hands are feeling heavy and relaxed. Take a couple of nice long slow breaths now, and just relax. Feel yourself slipping even deeper into a state of complete rest. Now tighten the muscles in your face by squeezing your eyes shut and clenching your lips together. As you do, breathe in fully. Hold it...now breathe out and relax all your facial muscles. Feel your face softening. Once more, breathe in deeply while you scrunch the muscles in your eyes and lips....and release. Now bring your awareness to the muscles in your jaw. Take a deep breath in, and then open your mouth as wide as you can. Feel your jaw muscles stretching and tightening. Now exhale and allow your mouth to gently close. Again, fill your lungs with air and then open your mouth wide. Now let your mouth relax and let your breath flood all the way out. You are now completely relaxed from the tips of your toes to the top of your head. Please take a few more minutes to rest. Relax. Listen to the sound of your breathing and enjoy the lovely, warm sensation of physical relaxation. If you have the time, feel free to fall asleep. You will wake feeling completely rejuvenated and relaxed. Script by Christopher Lloyd Clarke from www.The-Guided-Meditation-Site.com.